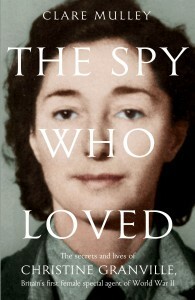 Special Agent Christine Granville: "The spy who loved …"
On this day in 1939, just a few months after the Nazi invasion of Poland that had marked the start of WWII, a determined Polish Countess and former beauty queen marched in to British secret service headquarters and demanded to be sent on an active mission. ‘She is a flaming Polish patriot, an expert skier and great adventuress…’ the startled British officer reported, ‘I really believe we have a PRIZE’. Countess Krystyna Skarbek is now better known in Britain by her adopted name of Christine Granville of which, she later wrote, she was ‘rather proud’. When she volunteered for service she was already on her second husband and third name, Krystyna Gizycka, and she was known on paper simply as ‘Madame G’. 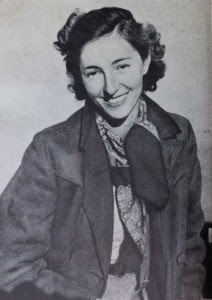 By the end of the war she had gone through many more identities, from her first alias, Mme Marchand, under which she was sent into Hungary in December 1939, to the ‘admitted libelous’ code-name the British gave her in Cairo, ‘Willing’, which spoke loudly both about Christine’s mode of gaining information, and the male British sense of humour of the time. Christine was the first woman to work for the British as a special agent during the war. Despite having a life expectancy of just a few months while on operations, she was also Britain’s longest serving female agent, active in three different theatres of the war. For her outstanding courage and huge contribution to the Allied war effort, she was honoured with the OBE, the George Medal and the French Croix de Guerre as well as an array of service ribbons that would have made any General proud. And yet, as a woman, Christine was ineligible for British military honours, and had to accept their civil equivalent – something that enraged her and many of her female colleagues, one of whom wrote in disgust that there was ‘nothing remotely civil’ about what they had done. Although Christine trained and served alongside men throughout the conflict, her gender always informed her experience of the war. She was in southern Africa when Poland was invaded, and by the time her ship reached Europe her home-country was occupied. Unable to sign up to fight alongside her compatriots, Christine determined to get Britain to support her plan to ski across the hazardous Carpathian mountains taking money and propaganda to the Polish resistance, and information – on microfilm hidden inside her gloves – back out. At this point the secret services were only recruiting through the Old Boys network, but Christine had contacts within this group and quickly used them to good effect. No other women would be taken on for another two years. Christine’s combination of independent-mindedness, determination and charm had given her the contacts she needed in Britain, Hungary and Poland, but it was her gender that ensured she would be less conspicuous travelling around an occupied country than any able-bodied man, and secured her the job. Christine was exceptional. Christine crossed into occupied Poland four times over the next year, bringing back information that at times had the potential to change the course of the war, and helping to ‘exfiltrate’ thousands of Polish and other Allied officers to continue the fight overseas. When occasion demanded she was quick to exploit her femininity to good effect, once charming a Wehrmacht officer into carrying her package of ‘black-market tea’, in fact incriminatory documents, through a security check. She also happily made love to the cream of the Polish and British secret services in every country she crossed, many of whom later described the ‘mesmeric power’ she held over men. But Christine also fully employed her contacts, language skills, creative brilliance and sheer blunt courage both to undertake her missions, and to save not only her own life, but also the lives of several fellow officers and agents. Once under interrogation in Hungary she feigned tuberculosis by biting her tongue so hard that it looked as though she was coughing up blood, until she and a compatriot were thrown out. On another occasion, in occupied France, she walked into Gestapo headquarters and demanded the release of three colleague just hours before they were due to be shot. Using a combination of bribery, and bravado about the ‘imminent’ approach of Allied forces, she saved the lives of the men and went on with them to help coordinate the resistance in advance of the Allied liberation of the south of France. Yet at the end of the war, in May 1945, Christine was dismissed with just £100. A British memo stated simply, ‘she is no longer wanted’. As an aristocrat and former British agent, Christine knew she could not return to post-war Communist Poland. But as a Pole, and a woman, it was soon clear that she was not hugely welcome in Britain either. The qualities that had made her so valuable as an agent during the war were no longer appreciated in women during the peace. Without secretarial skills she was difficult to place, memos moaned, and she was soon being referred to as ‘this girl’, while her applications for continued work were dismissed as ‘a headache’. The country that had employed Christine to risk her life in three different theatres of war, now only begrudgingly gave her citizenship and completely failed to provide work worthy of her service and abilities. In 1952, after seven years of menial jobs in London and as a stewardess on various passenger ships, Christine was stabbed to death by a rejected lover. It was a pathetic end for such an extraordinary woman. Although very few special agents have been murdered for love, at least outside of novels, Christine should not be remembered as a tragically romantic figure. Today women in the Resistance are all too often seen in such terms. Perhaps the best known female special agent is Sebastian Faulks’ heroine, Charlotte Grey, and she is not only fictional but achieves very little. Even the most famous true stories, of Violette Szabo and Odette Samson, celebrate outstanding courage and sacrifice rather than significant achievement. If my new biography of Christine contributes anything, I hope it will highlight the role, use and abuse of Poland during the war, and rebalance the view on the effectiveness of British female agents.